I’m not nerdy enough (yet) to have an opinion on what ratio of apple varieties produces the best cider, so we just trudged around and grabbed whatever seemed ripe enough to consume. Ultimately we were able to come up with about 20-25 lbs. That is, at least I think that’s how much we got – by the time I finished lugging the bucket up to the house I could have sworn the damned thing weighed then times that. Yes, I’m that weak. 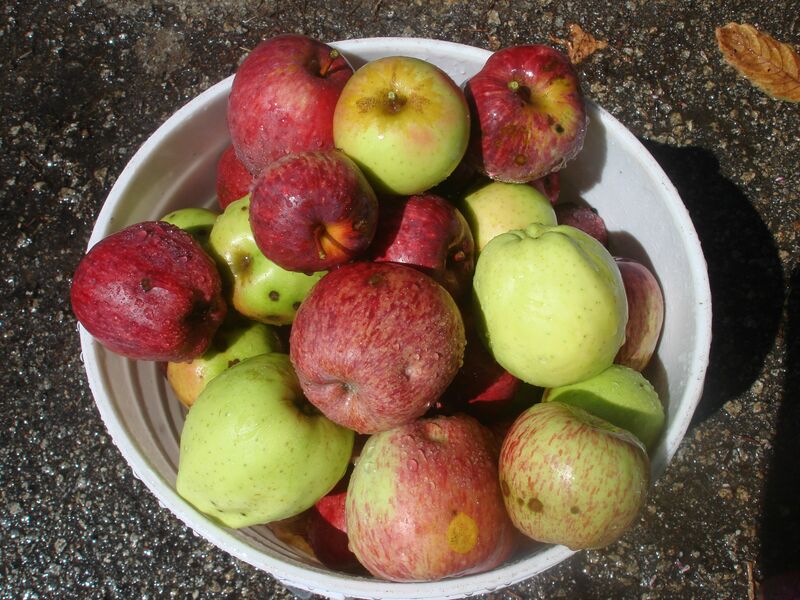 Of course many of the apples were pretty spotty, but for the most part they looked pretty darned good – a miracle, it seems, considering none of the trees have been sprayed or pruned for at least a couple of years. Still, I thought it best to wash them, and sure enough, as soon as we hit them with the spray – out pops a pretty hefty, annoyed-looking spider. So…I washed them with a little extra vigor. Then I washed them again. Then I wept. There are two steps, it turns out, to this process, and we dove into them with aplomb. 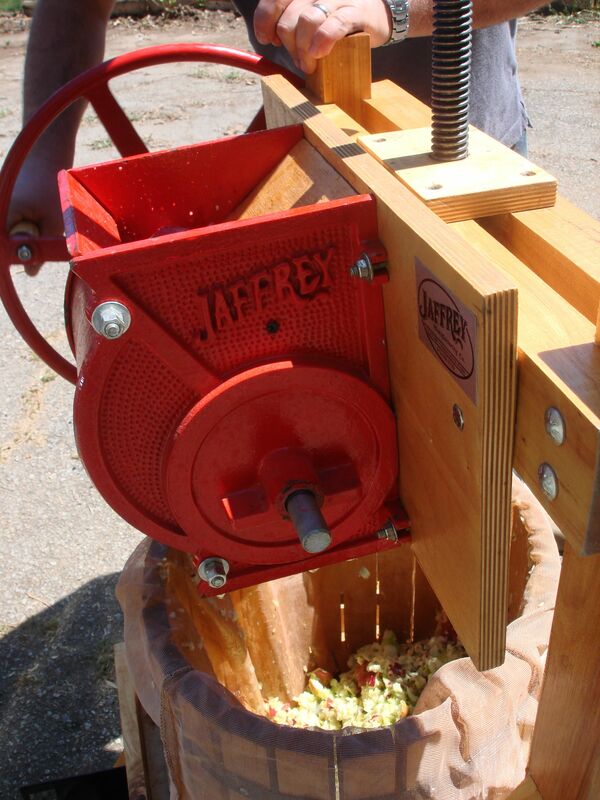 First we fed the whole apples into a grinder attached to the front of the press. 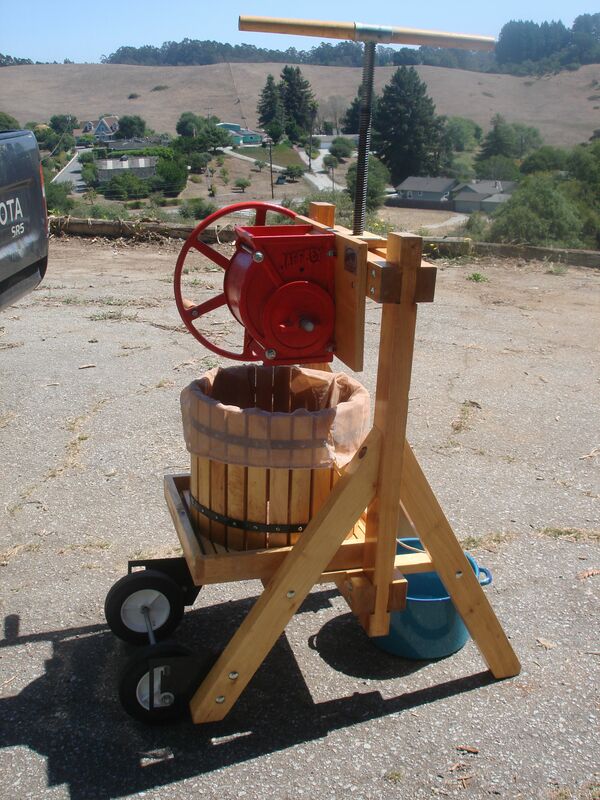 I hand-cranked the wheel on the side, pulverizing the fruit. The apples (now all mashed-up bits) dropped into the muslin-lined bucket underneath. Once that grunt work was done we moved on to the second step. 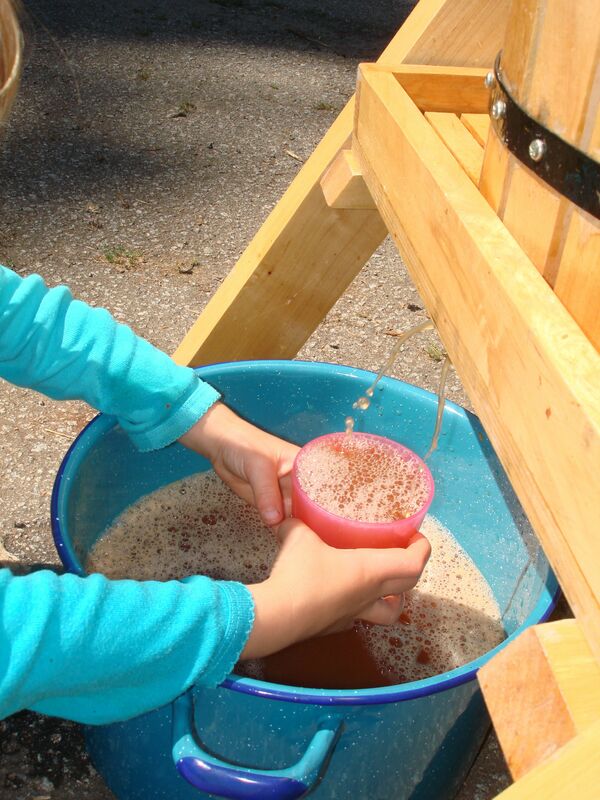 We tied the muslin bag up loosely and placed the flat, wooden, circular lid on top of the mound of apple chunks. 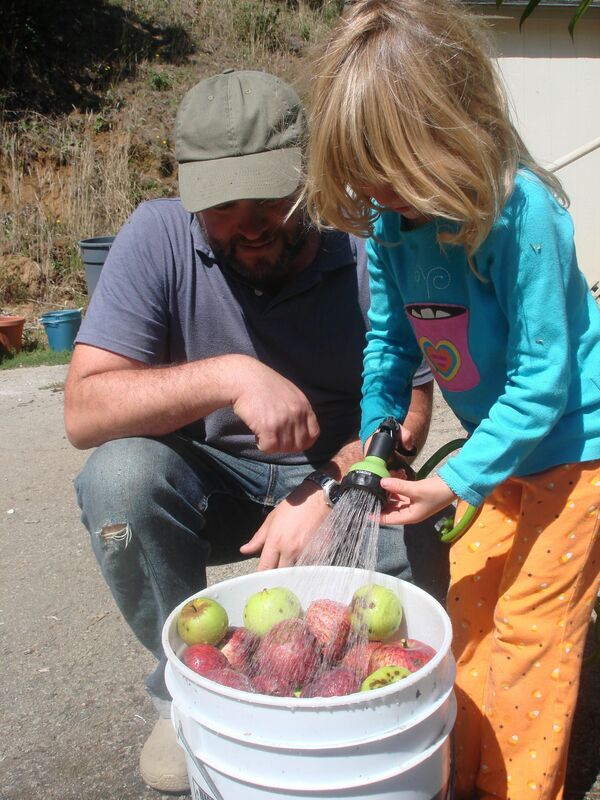 Then we cranked the large, threaded metal rod down, down, down until it hit the lid, forcing it onto the bag of apples – and then we kept on cranking. The apple mash was squished, and voila! 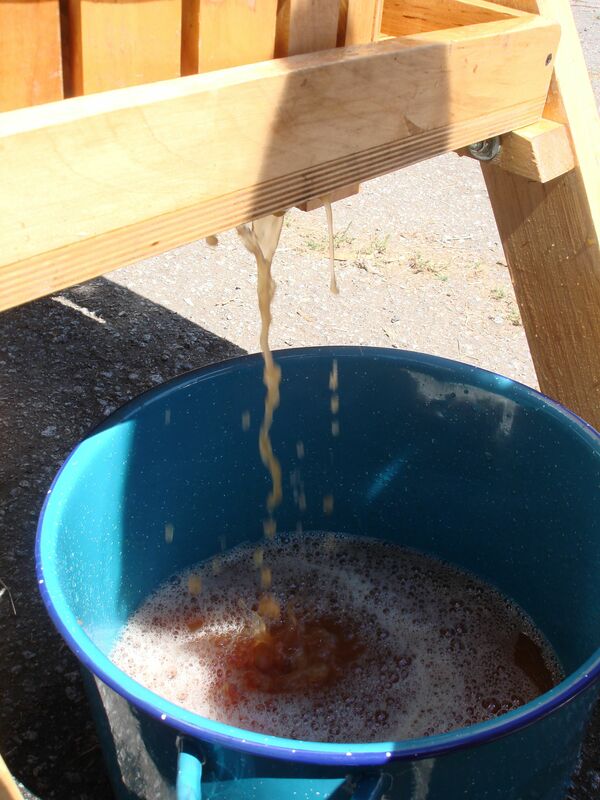 Cider issued forth from a small hole in the bottom like ambrosia. *Note that we placed a large pot underneath the hole to catch the liquor. I know, I know – it seems obvious, but as anyone who has ever changed his/her own oil knows – remembering that part isn’t a given. 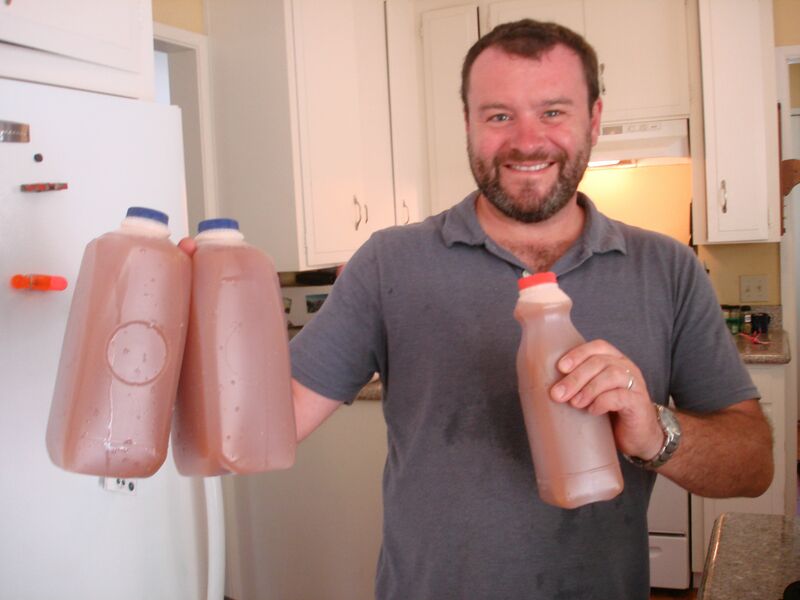 And the result: from about 25 lbs of apples we pressed just over a gallon and a quart of totally awesome cider. And when I say awesome I mean it – this stuff tastes just the way I remember real cider tasting. So sweet, but with depth and a just the right amount of tang – nothing at all like what you find in stores. 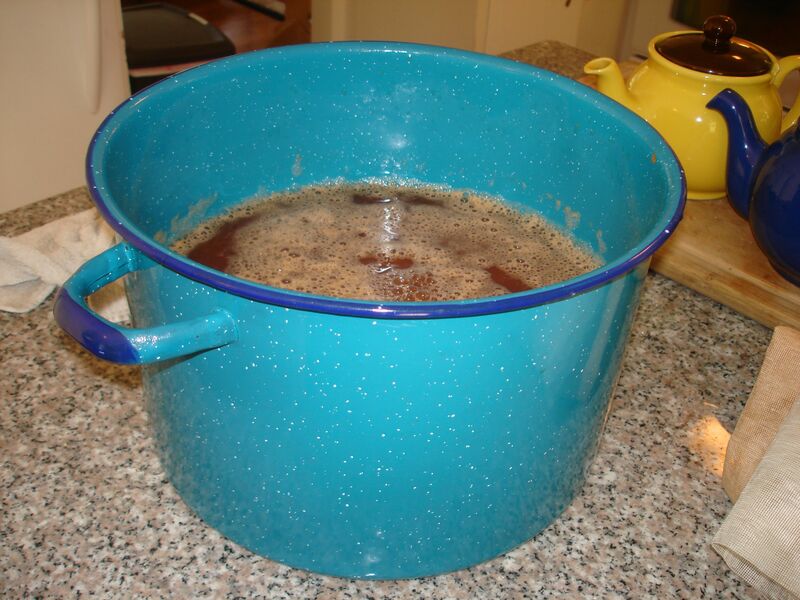 Now for the next, obvious step: learning how to make hard cider! I’m thinking with a little sweat and patience we won’t have to buy beer ever again! 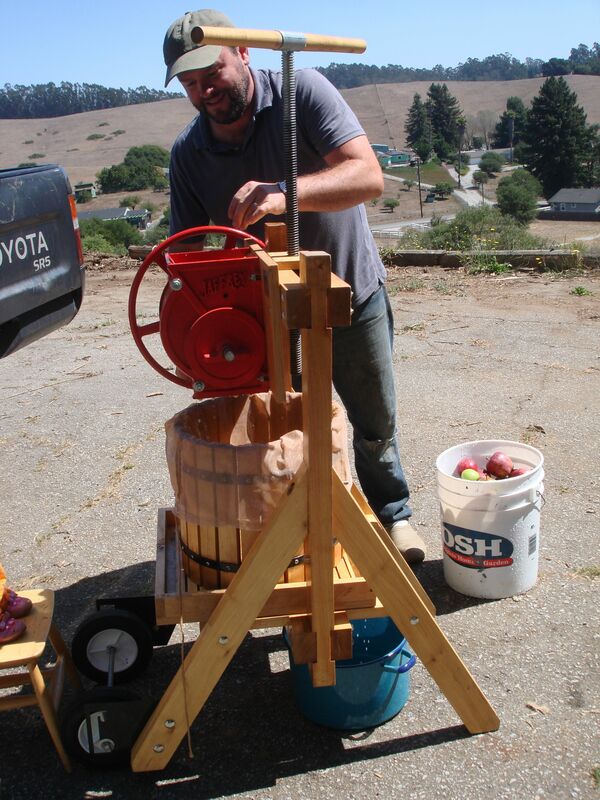 Wish us luck – there’s going to be a lot more apples to press before the end of the year! Lovely step-by-step writing that left me thirsty. 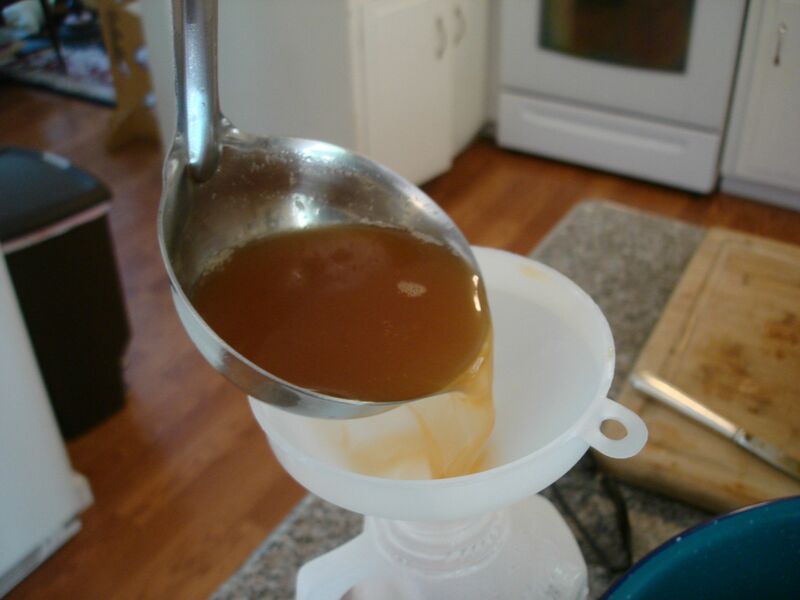 I’m a hard cider queen so get cranking (and pressing)! I should have stayed a few more hours! Wonderful! In 2009 we pressed 15 bushels! WHAT an effort! But the cider is like nothing else, isn’t it? So glad you got the press, and it looks great. MMMM…. how about some hot mulled cider? I so wish I was there now.